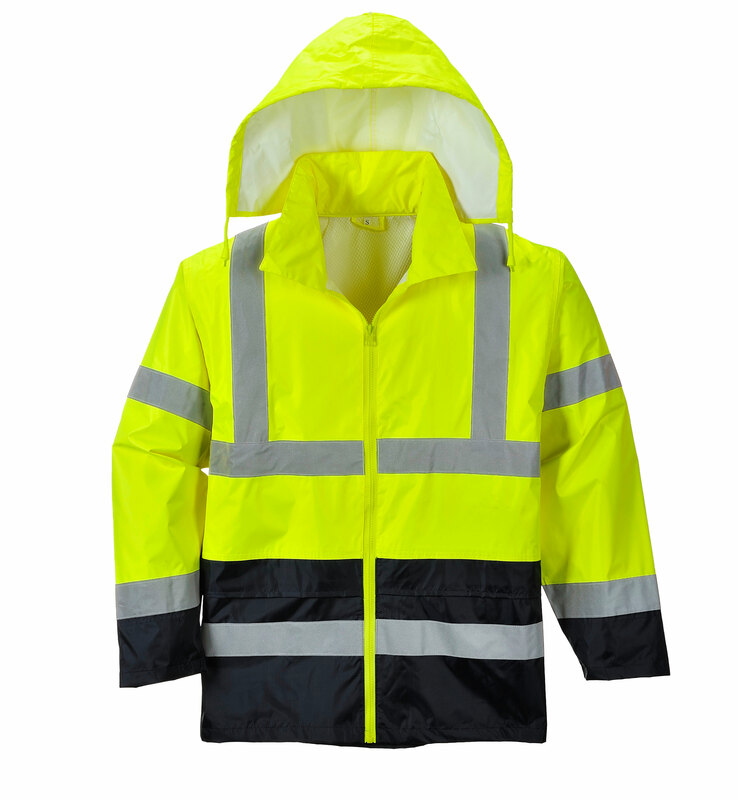 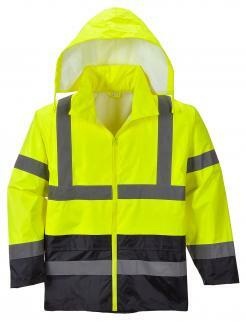 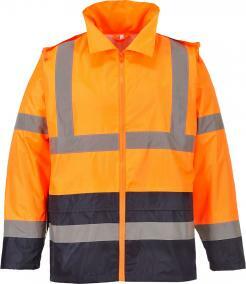 Designed to keep the wearer visible, safe and dry in foul weather conditions. 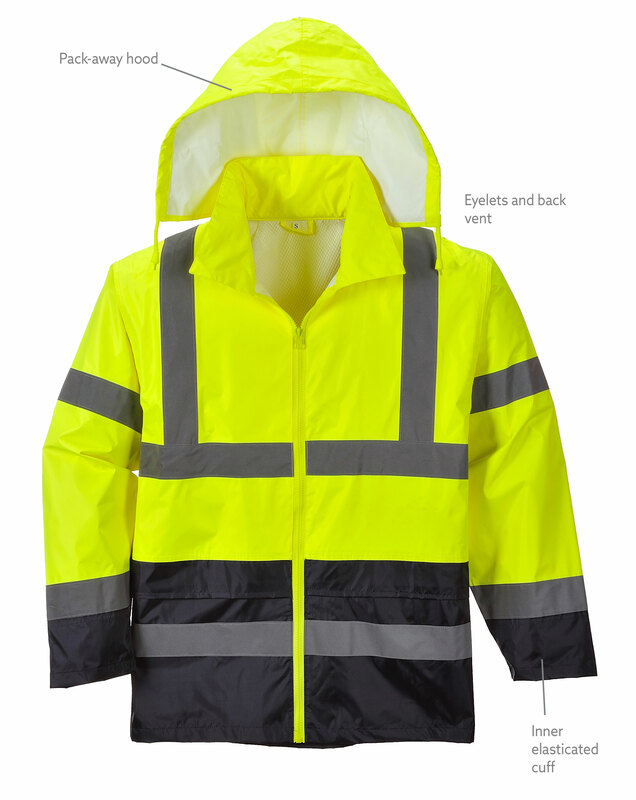 This lightweight stylish two tone jacket features a pack-away hood for easy access, large pockets for ample storage and vented back yoke and eyelets for ventilation. 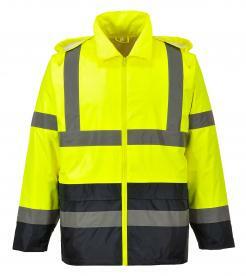 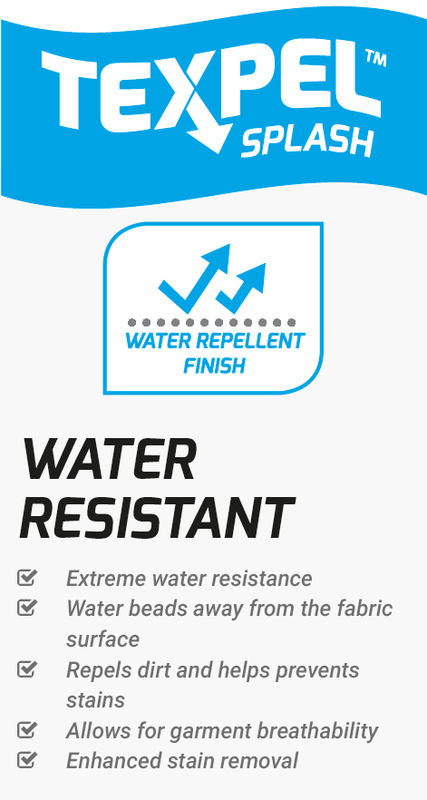 Made with 190T plain weave 100% polyester yarn this is a durable, hard wearing fabric for tough conditions. 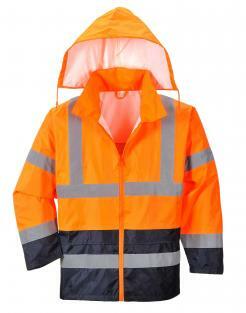 This fabric is lightweight and has superb abrasion and tear resistance. It has a PVC coating inside which makes the fabric waterproof and has a water repellent coating on the outside which helps keep the garment clean. 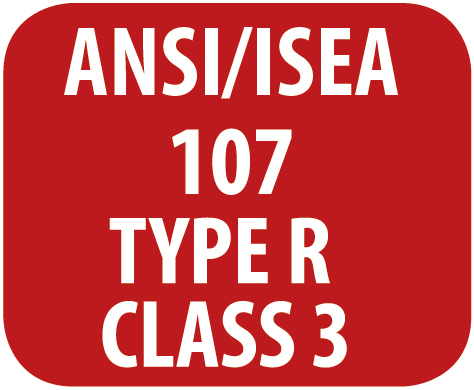 Portwest's extensive range of High-Visibility clothing meets stringent requirements in both design and construction, to ensure compliance with the latest EN ISO 20471 & ANSI standards. 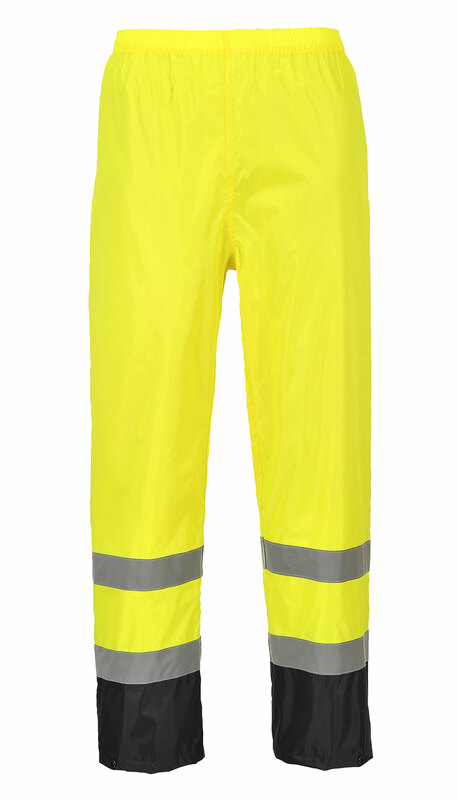 Innovative and technical, Portwest's High Visibility range is ideal for those who will not compromise on style, comfort, protection and performance.